An historian, who is convinced that the memoirs of 19th-century Shoshone heroine Sacajawea are stashed somewhere on the reservation, has disappeared. Film star Sharon David travels to Wind River country, convinced that she was adopted at birth from the reservation. 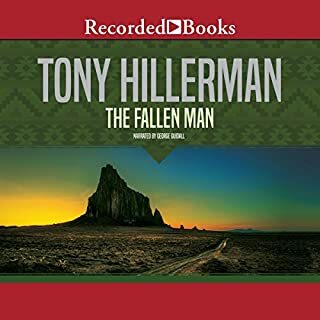 In the third book of the Navajo Nation series, Charlie Yazzie's former archaeology professor becomes the target of a ruthless Indian rights movement, one determined to end an investigation that could change the face of an ancient tribe. 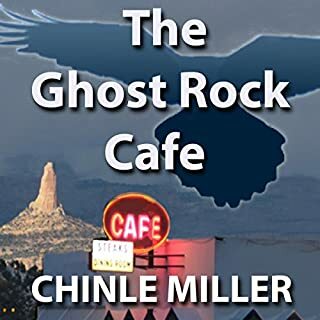 Charlie and Thomas Begay find themselves caught up in a dangerous, intrigue-filled adventure involving one of the canyon lands' oldest riddles. Dark secrets are revealed in this fast-paced mystery of a forgotten people. 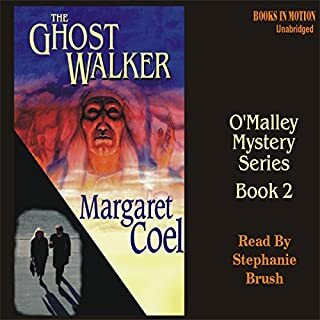 This is book three in the Navajo Nation mystery series. You really should read this series in order to fully appreciate all the characters and history of the Southwest. This story provides the reader with interesting information about southwest archaeology and anthropology. Charlie Yazzie‘s former archaeology professor is the target of the Indian rights movement. They are trying to stop the study of the ancient Anasazi people in one of the area’s oldest canyon sites. Charlie has his own personal problems as Sue gives birth to their child. 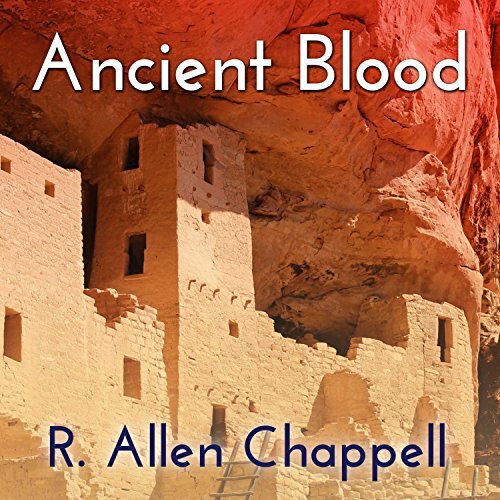 Chappell is a good story teller and he makes it enjoyable to learn about the Anasazi entwined in a mystery story. 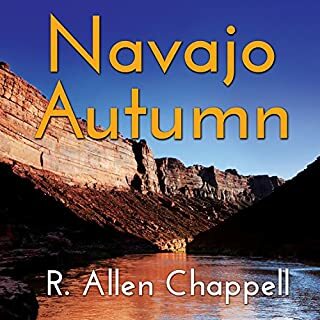 Chappell brings the history as well as the beauty of the Southwest to life while telling a great story. The reader learns about the culture of the Natives Americans in the Southwest and makes one want to go visit the area. Kaipo Schwab does an excellent job narrating the story. I always enjoy learning about the narrator. Schwab was born in Hawaii of a Hawaiian/Chinese mother and the German/Irish father. He received his BFA from Boston University. He is an actor of both stage and film as well as a narrator of audiobooks. Not enough archaeology, too much shoot 'em stuff but still interesting. A good book for fans of the American SW.
Have you listened to any of Kaipo Schwab’s other performances before? How does this one compare? No - I wanted it to last and I wanted to do some research on the Navajo lands and sites mentioned in the book. What could R. Allen Chappell have done to make this a more enjoyable book for you? Written a more smoothly developing story without the jerky move from sub plot to sub plot. What didn’t you like about Kaipo Schwab’s performance? What did you love best about Ancient Blood? 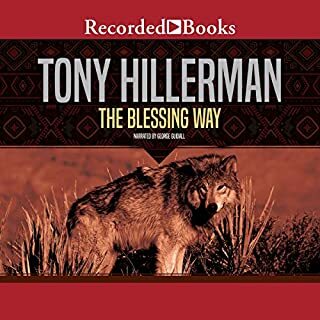 It isn't Hillerman, but I enjoyed some of the explanations as to which tribes are invested in which part of Native history. I found some of the characters a lttle old fashioned, but it kept my interest. Not exactly on the edge of my seat, but it interested me enough to finish the book! I felt slightly confused by much of the action. The plot was far less interesting than the interpretation and theory of what was discovered. What about Kaipo Schwab’s performance did you like? 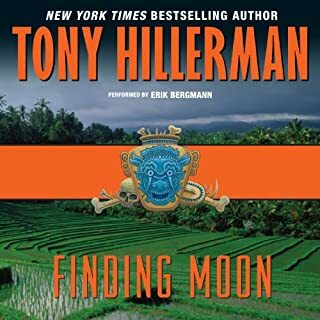 I liked the rather peaceful pace and humor of the narration. I found it relaxing and engaging. I didn't listen to it all at once, but had I been driving perhaps. I liked the different ideas as to how the dead and history should be treated, found it something to reflect upon rather than to rush through. narration was extremely difficult to listen to. Narrator had almost no change in tone. no transition between locations. Not a good read.